Just say the word and a new box office champion will appear! Warner Bros. and New Line Cinema’s adaptation of the DC superhero, Shazam!, is a hit with audiences. Via Deadline, Shazam! had an opening weekend of $53 million, with an estimated $13.2 million on Sunday. Counting Thursday previews, Shazam! had $20.5 million on Friday and $19.75 million on Saturday. That’s an excellent hold for its first two days, and it has an “A” CinemaScore from audiences coming out of the film. The remake of Stephen King’s Pet Sematary came in second with $24 million, while Dumbo ($18.5 million) and Us ($14.5 million) took the third and fourth slots. Captain Marvel rounded out the top five with $12.8 million. Now that Captain Marvel‘s domestic take is $374.2 million, a $400 million stateside run is not out of the question. How does the performance of Shazam! stack up against the other DC Extended Universe films? It’s dead last out of seven movies, just behind Aquaman‘s $67.8 million opening. However, Aquaman went on to make $335 million and it became one of DC’s most successful adaptations. Shazam! is going to need some help to come close to those numbers. Next week’s Hellboy reboot is tracking at $20 million for its opening. That means Shazam! could retain the top spot next weekend, if it doesn’t drop more than 62%. Regardless of which movie wins the head-to-head match up, Hellboy and Shazam! are likely to take business away from each other. April is a very crowded month for comic book movies, and Avengers: Endgame will claim a potentially record breaking opening when it hits theaters on April 26. 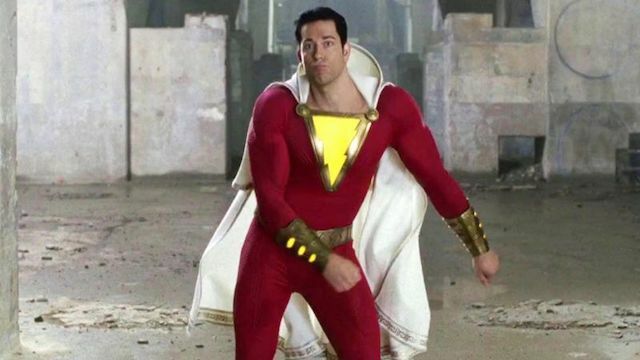 Once Endgame arrives, both Shazam! and Hellboy are likely to suffer stiff drop-offs, which may harm their overall box office prospects. How do you feel about the Shazam! opening weekend numbers? Do you think Shazam! will be able to beat Hellboy next weekend? Share your predictions in the comment section below! Tags: dc, DC Extended Universe, Shazam, Shazam!